The Asus ROG G751JL-BBI7T29 is another gaming PC that features the processing muscle of 4th generation Intel Core i7-4720HQ quad core processor that features 6 MB level 3 cache and runs at the base clock speed of 2.6 GHz but because of Turbo Boost technology that processing speed increase up to 3.6 GHz. 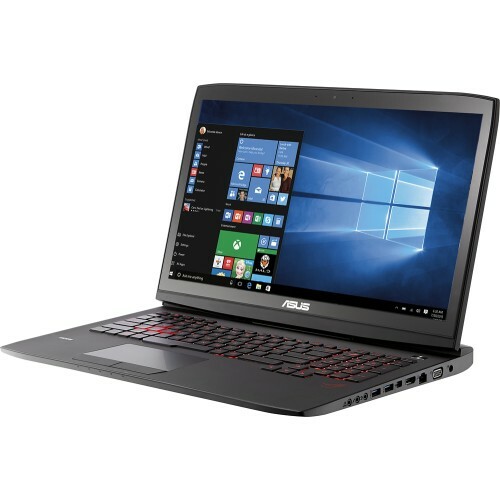 This laptop has a dedicated GPU dubbed NVIDIA GTX 965M graphics which is driven by 2 GB video memory to quickly render high-quality images and capable of rendering high definition movies and playing even demanding games with ease. 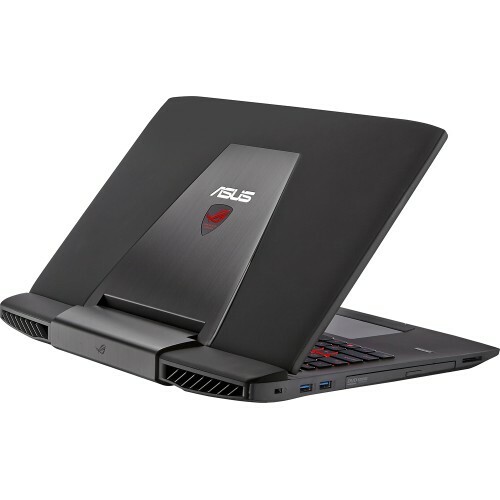 The Asus ROG G751JL-BBI7T29 laptop comes with a 1TB hard drive for ample file storage space; Intelligent thermal system thru dual fans to ensure optimal cooling; 8 GB system memory for basic multitasking; Intel Wireless Display (WiDi); Dual built-in speakers and subwoofer; built-in media reader for simple photo transfer that supports SD and MMC memory card formats; built-in 1.0 MP array webcam with microphone; backlit keyboard for easy typing in dim or dark locations; SuperMulti DVD/CD burner; and 8-cell lithium-ion battery which will give you several hours of working away from the main source of electricity. The Asus ROG G751JL-BBI7T29 laptop PC also boasts with the following display features like 17.3" full HD LCD touch screen for hands-on control and natural finger-touch navigation. This also has 1920 x 1080 HD resolution. 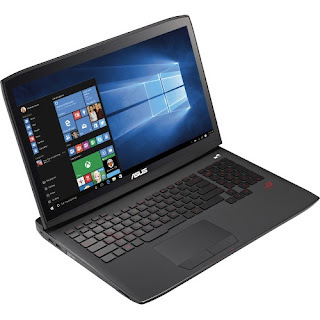 The resolution in this laptop PC is quite high, so it is expected that the display in this laptop PC is sharp and clear compared to laptop PCs with lower resolution. It comes in soft-touch black/silver metal finish. In terms of connectivity, this Asus ROG G751JL-BBI7T29 laptop PC is equipped Bluetooth interface which syncs with compatible devices; 4 USB 3.0 ports maximize the latest high-speed devices - USB 3.0 ports are backward-compatible with USB 2.0 devices; Thunderbolt port for connecting advanced monitors and external drives; Next-generation wireless connectivity; Ethernet LAN port; and HDMI 1.4 output expands your viewing options. 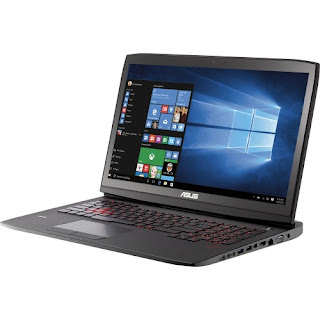 The Asus ROG G751JL-BBI7T29 laptop PC is powered by Microsoft Windows 10 operating system. It measures around 1.69 inches x 16.38 inches x 12.52 inches and weighs about 8.38 pounds. You may get this computing device at the price of $ 1379.99. 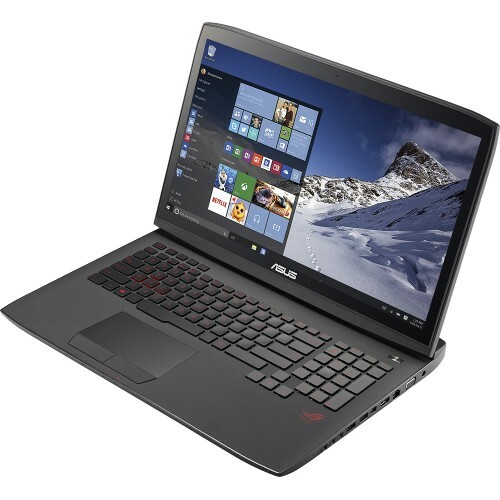 Other devices in this price range include Asus G751JL-BSI7T28 and DELL XPS XPS9343-7727SLV.